DSM Food Specialties and Lipid Technologies Provider AB (LTP) have signed an exclusive, worldwide sales and marketing agreement to promote a novel and unique weight management ingredient. Branded as Fabuless by DSM, the new product helps control food intake without the sacrifice and discipline usually associated with dieting and weight control. Developed and marketed as Olibra by LTP, Fabuless triggers the natural appetite control mechanism and suppresses the hunger signals that would normally be sent hours after a meal. Consumers feel more satisfied than they would have been and consequently eat less. According to DSM, extensive consumer research in the USA and Europe highlighted that a key issue in weight management was the difficulty and perceived sacrifice involved in consumers’ real efforts to control their food intake. The Fabuless brand was found to have strong appeal to a range of target groups and we are now focussing applications development activity to meet their defined needs, the company said. LTP develops, produces and commercialises lipid-based ingredients and formulations for functional food, skin care and drug delivery applications. Although LTP’s main focus is on the development of novel functional food ingredients and formulations, there has also been a development of products for use in dietary supplements. LTP has in this area granted GNC in the USA exclusive rights to the use of Olibra in single dose containers. Fabuless is made from palm and oat oils. Maintaining a proper balance of dietary fats may ward off much of the bone loss associated with post-menopausal osteoporosis, according to a recent study by scientists at Purdue University and the Indiana University School of Medicine. The researchers found that diets with a low ratio of omega-6 fatty acids to omega-3 fatty acids minimized the bone loss typically brought on by estrogen deficiency, which is common in post-menopausal females. Omega-6 fatty acids are typically found in foods such as grains and beef, while omega-3 fatty acids are found in foods such as walnuts and salmon. The current study, which is in press in the Journal of Nutritional Biochemistry, assessed bone mineral content and bone mineral density in female rats. These measurements are used as indicators of bone mass and bone strength, respectively. Half the rats in the study had their ovaries removed, a procedure that leads to a rapid drop in estrogen levels. This mimics menopause and is the standard model for studying compounds that mitigate osteoporosis, said Mark Seifert, a professor of anatomy and cell biology at the Indiana University School of Medicine and the study’s co-author. In the study, groups of these rats were fed diets containing different ratios of omega-6 to omega-3 polyunsaturated fatty acids. While both types of fats are essential for human health, diets with a high ratio of omega-6 fatty acids to omega-3 fatty acids are often associated with cardiovascular disease, cancer and inflammatory and autoimmune diseases. A low ratio of omega-6 to omega-3 fatty acids, however, is believed to promote cardiovascular health, improve memory and, as the current study shows, protect bone health. After 12 weeks, rats with the lowest ratio of omega-6 to omega-3 fatty acids in their diet experienced significantly less bone loss than rats in the other dietary groups. Other groups at the University of California have also looked at the association between omega 6 and omega 3 ratio and bone mineral density. They found that high omega 6/omega 3 ratios led to lower bone mineral densities at the hip and spine. Interestingly enough we have our own expert on essential fatty acids and bone health here in New Zealand. Associate Professor Marlena Kruger of Massey University has published many peer-reviewed papers on this topic. She co-authored a major paper in Progress in Lipid Research with the late David Horrobin, a pioneer in essential fatty acid nutrition. The fight against trans fats received a boost this week, when the New York City Department of Health and Mental Hygiene (DOHMH) initiated a campaign to discourage the use of partially hydrogenated vegetable fat in the city’s restaurants. Trans fat is formed when liquid oils are made into solid fats like shortening and hard margarine, a process that increases the shelf life and flavour stability of foods. It has been found to raise blood levels of bad (LDL) cholesterol that increases the risk of heart disease. Unsaturated fatty acids, on the other hand – both the mono- and poly- varieties – have been linked to lowering of LDL cholesterol. The department plans to bombard more than 20,000 restaurants with letters and educational materials informing them of the dangers of trans fats, and how they can replace them in the kitchen. It estimates that 30 percent of New York restaurants use oils or fats containing partially hydrogenated vegetable fats in cooking or as spreads. The materials will also be sent to 14,000 supermarkets and food suppliers. The move comes just before the FDA’s ruling requiring the labelling of trans fats on nutrition labels of all food products from January 1 2006. A recent paper (J. Nutr ,2005,135,431-436) by scientists at Ohio Sate USA has shown that beta-carotene and lutein absorption from salads and salsa is enhanced by the addition of avocado oil. Interesting observation since one of the major objections to an increase in plant sterol consumption is the risk of possible carotenoid depletion in the body. This is an important role for both olive oil and avocado oil in being an efficient carrier for the myriad of antioxidants found in vegetables and salads. Another reason for the liberal consumption of healthy oils with fruits, vegetables and whole grain products. Anchor Spreadable has been reformulated and packed in a new tub. The product has had canola oil substituted by high oleic sunflower oil. The new product is low in trans fats and has a lower saturated fatty acid content than regular butter. 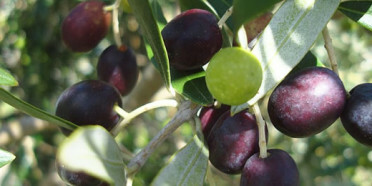 New Zealand Olives are holding their annual conference in Nelson from October 14th until 16th.